Wow. You've got some negative activity going on. But, you're doing the right thing. To be afraid to get into the tub means that the Entity was trying to prevent you from getting in. Why? because it will work (and they don't want that). Dreams that occur right before waking are usually the most psychic. Although it was a positive dream, you must continue with that bath. Yes thank you. I really really appreciate your help. Please browse through this forum so that you can get a good idea about spells. Hi there! The issue is communication. The whole thing reminds me of Cassandra (Troy), who is said to have been cursed, which is why I posted here. Any ideas or thoughts??? Thank you! Usually what happens is anything I say is twisted by the people who hear it. They almost always take whatever negatively, instead of positively--even the ones who espouse positive thinking. It is surprising what people think & say. (I really should not be surprised anymore though.) Their response is usually highly emotional, and words are often put into my mouth that I did not say, feel or even think. The converse is that any perspective I may have is not acknowledged, rarely valued and pretty much ignored. Everyone gets really quiet and there's this uncomfortable silence all of a sudden. You know those anime where the crow flies by saying "baka" ? Yeah, well something like that. I'm not uncomfortable because it's happened so many times now that it's really old. I am not sure why the misunderstandings occur in the manner they do. All I know is that for me it is annoying as %#@!!! I don't peg myself as the type of person who can push others' buttons just like that. The only thing I can do is not say anything at all and there are even times when that too creates a problem or response where someone is vexed in the end. PLEASE HELP! Interestingly enough, so far: no one here has misunderstood me. So...???? I mean shoot I'm happy! Don't get me wrong! The other things that seem to come into play are being empathic, although I do not feel it is 100% and being able to use both sides of my brain. I didn't realize I was using both sides of my brain until I was in the middle of reading an article about balance between intellect and emotions. (There was a photo of the left & right brain, along with qualities from each side.) It's still hard for me to accept because I've heard that it is really hard to do. I have no idea if I described all of this properly. I tried. That's why this post is so long because I was really trying to describe what is happening. I was in a class, where we were talking about reiki. The instructor showed a video and then asked for any comments, questions, or concerns. Going with my instincts and intuition, I said that the technique from the video did not look like reiki (Usui) and went on to say that I did not see the hand positions we had been studying or anything that similar. Also, I just got this feeling from inside myself that it just wasn't what we were studying. Why did I say that? Oh man. The instructor came out of this bag about how just because the video didn't look like the system of natural healing we were reviewing that it wasn't crap and that it was short and old (1990s), so everything may not have been shown. Etc. Now hold up: I never said it was crap, never thought it and never felt it. From an academic standpoint, why use something that isn't really an accurate representation of our topic? Then the next thing the instructor did was turn to my classmates and asked them if they agreed with me--not what they thought. Like what? My classmates were very careful with what they said. It was so funny! They understood that what was being done would polarize everyone against the one person and did not wish to be a part of it. They were incredibly wise. Here is a compliment I gave someone who holds a Ph.D. and who is clinical psychologist. I said that he felt like wind or water. At first I said he was water. That is what instinct said. (I'm a fire sign, mind you.) He, in turn, believed I was calling him weak. In my head, being called an element of nature is one of the highest compliments anyone can ever receive. Why? Well, elements are powerful and in varying degrees life giving or life destroying. I believe anyone who has lived through a hurricane, especially a Category 5 or a tornado will agree. It also turned out that the gentleman was a Pisces (unknown to me before I said it). The context of the compliment was that our department was all female and when that gentleman came to visit us, all of the pettiness, cattiness and all other negativity stereotyped with women stopped and came to a halt. It was such a beautiful feeling. Just his presence alone did all that. I could not say all what I just said, so I believed a witty compliment would convey what I could not say directly. I didn't see a way to edit my post, but I wanted to add that things I need people to focus on, they don't focus on at all. The words I don't need people to focus on, they hang on them, sort of nitpick. Hi Michi-griff. From what you wrote, it strikes me that you perhaps have some Aspie tendencies. My family thinks I am like that ... though I have never been formally diagnosed. Anyway, I have been insulting people all my life it seems, and never understood why. I didn't intend to insult them ... but they got offended. My world view is mostly black or white, I don't get sarcasm, and don't "read" all those non verbal clues people just " seem to know". It really is like I'm speaking another language sometime .... could that be a possibility in your case? My family thinks that is why I offend people without intending to ... like Sheldon in Big Bang Theory. I pray for help in communication and ask my guardian angels to help smooth things out for me when interacting with other people. Cleo May and Bewitching oils have been helpful. I have only become aware of this in the past few years ... before, I had no idea I had offended people and if I found out I had offended them, I didn't know how ... and if I asked them they say things like, "You know very well what you did!" I have read Aspie brains are hardwired differently from "normal" people's brains. Could this be a possibility for you? Please don't be offended but, based on another post about lack of eye contact, it sounds like you lack good communication skills. Spells alone are not going to help. I would seriously consider attraction spells for yourself in addition to seeking the help of a professional who aids with these type of situations. They are everywhere. I was married to a guy, who i later found out that he has been using African juju to control and destroy me. we got a kid together ,while he was having an affair and got a kid with another woman at the same time as me.. He managed to use this juju to control us, he got the other woman to send money to his family, write his projects and buy him expenisive stuff and got green card from me.. We the whole thing is very confusing because we got divorced and he refused to walk away but he does not want to stay away from me, neither does he want to commit... I managed to get pregnant twice within 2yrs and all the kids died in the womb. I believe that, him and his family has something to do with that.. I do alot of creative work e.g designing clothes, decorating, events planning etc.. but everytime after the jobs or during the jobs i get very weird and painful backaches and migreanes attacks. even if i get my work done i eother do not get paid as agreed, or agreements change to the worse. Am studying taking a bachelors, but sometimes, if we had a discussion or argument i get stuck compeltey with my assigments and projects he has said in many different ways that he does not want me to work. He has also said that, he is a very jealous person, when it comes to seeing me with other people.. Everytime i meet someone, something happens to prevent us from having a good time it could be after or before.. It be set backs like loosing money, loosing important stuffs and forgetting stuff. Everytime, we a discussion or argument about something my whole day gets messed up completely. When he comes to my home to see our daughter or pick her things just go wrong, even people who come to visit or help me especially men either get hurt, loose stuff and many other things.. I know and i really believe this man is really controlling and messing up with my life. and i think there are soe bad stuff he has put in my home..
Good luck to you and take care! I apologize in advance is this is the wrong area to ask this. I looked over the topics and searched but came up empty. I normally have very good luck with my plants and herbs that I grow for cooking or spell casting. They seem to like me and I really enjoy playing in the dirt to watch them flourish and in turn get a greater sense of accomplishment when I have the opportunity to use homegrown items for spell work. With in the last few months my luck has just soured with my plants: they don't flourish (at home or work), new sprouts dry up and die The environment has stayed constant so I doubt highly that is a factor. My care has stayed the same (pests and watering, feeding and so forth) but my luck seems to have run dry and I'm unsure what to do. Wracking my brain, the only thing I can think of is to do a general cleansing of my home (won't be able to do too much at work). Would prosperity candle magic work in this instance? First, please check to see if there is any type of Carbon Monoxide or other types of toxic gases in the air. That ought to be your first priority. Otherwise, go head and do cleansing and then work with an uncrossing candle. You may even want to spray them very lightly with steep uncrossing bath crystals that are very diluted. Hi there! Just to be sure, does Aspie = Asperger's Syndrome, regarding an above post? (That's the only thing that comes to mind.) I do have a seizure disorder that started in my 20s. It's a interesting experience. I began to stammer where I never did, although it is better now. However, the situation with words has been around before any seizures occurred. I find it very interesting that for a bunch of people who talk about positivity, they always take negativity away from something that is said. What's the point to talk about it, if they will not live it?? Also, I'm from the Caribbean with some family hailing from Trinidad. Lack of eye contact or the sunshades you suggested is pretty much a normal thing -- as far as I have seen. It is something adults of the olden days and even some now would have told their children -- as far as I know. Regards! My husband & I have suffered extreme poverty & disabilities. I am an artist, sell very few pieces because of no money for advertising. Plus our rent went so high this year we can't pay all of our bills. We have HUD, they only pay up to 1529.00 and our income is 900.00 a month. But that is Southern California suburbs, I doubt it will change. My dad always helped with that but he passed away in 2012. My siblings hate me, my husband has no living relatives that we can get help from. I haven't been able to get to my Emeritus classes & am completely isolated. Even our son who is 33 can't hold a job due to disabilities. He's scared to death he won't be able to care for himself when we die. Saving money is impossible as well. Things get worse after Mercury goes retrograde and gone direct. It makes no sense. The last straw, my car broke down last month & no money to fix it. Because of disabilities I can't walk far. Buses are almost non existent to go where we need. I can't even find a charity for help with my car. I've been a witch & root worker since I was 11 years old & 50 years later feel defeated. We have been using uncrossing spells for over a decade, but nothing changes. Cleaning my space is ok except we can no longer do it because of health. I am at my wits end, wondering if we need to be doing something else. I just don't know what to do anymore & because of the turmoil I can't think straight. And I know attitude is everything, I'm just not feeling it. Are we doing the wrong magic, are we cursed, or what? Any advice is very appreciated. I am desperate. Good luck to you and take care. Keep us posted with your situation. While I am it, I will also ask: Why is it that my original query about communication wasn't taken seriously? A search of the forum reveals that another user who said something similar was not taken seriously as well. I had a few ideas of my own from reading this site, burning a planet candle (Mercury I think). I just wasn't sure how to put it together, which is why I asked. I do apologize. Thank you very much anyway! If you have a question for another forum family member, please Private message them. This thread is to find out if someone has been crossed. I recommend sealing his home with old keys, horseshoes etc. that will scramble any magical energy. The best protection I have ever performed is cast a circle in a circle. First visualize roots growing from the spine into the earth, going deep. From there visualize white or blue energy coming up the spine, circling the body which will turn into a mirror. If this is the work of another person it will be sent back to them without hurting your friend. This must be done every day. And an herbal bath with the correct herbs is important. When you do this infuse energy into the water for a better effect. Wear jewelry that will protect you. I have a pentacle necklace with Quartz in it. I keep it charged. And then there is the hoodoo method where the house is washed with uncrosding wash. Also red candles with a black inside works great. I do know of a few traditional hoodoo curses that have as their objective the result that the cursed person will always be misunderstood and their words will be taken negatively or seen as sour and even confused. Such curses can be worked with animal tongues and a mixture of hot, biting, and sour ingredients. We find these curses most often in court case situations, to cause a witness to stumble in speech and for their words to be taken the wrong way by the judge or jury. So, in theory a person could be cursed that way, but you would need a reading to be sure. I am not saying that this was done to you -- just that such curses do exist. While we do open out forum to people from all sorts of magical traditions, this is a hoodoo forum designed to help the customers of the Lucky Mojo Curio Co. learn the history of African American rootwork. 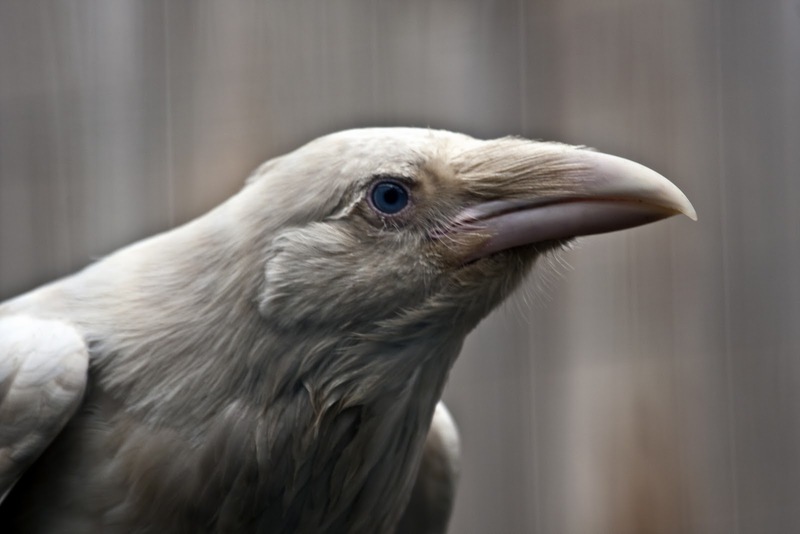 There are plenty of Pagan, Wiccan, and Witchcraft forums to discuss those kinds of spells, but here we focus on conjure. Thanks for your suggestions, but we would prefer that you stay on topic. Thank you. I did not know what it was called. A search of the forum only shows about 5 entries, regarding animal's tongue. I have your book Hoodoo Herb and Root Magic already, but I didn't find a suggested remedy. I'm pretty sure it is in your book--just that I didn't find it. Are there any suggested remedies for animal's tongue? If so, what? Regards!! However, such spells can be removed -- the thing is, there is no one way to do so. Hoodoo does not function according to a pre-determined set of logic-rules like a video game or a super-hero movie. Bathing to remove crossed conditions would be a good start. Then one would work with herbs or roots for eloquence, personal courage, personal magnetism, and the like, to slowly cure the condition, after the manner of building up your strength after an illness. If that does not help -- if the spiritual "illness" persists despite your best home remedies and self-treatment -- you would want to have a consultation with a rootdoctor to come up with a magical course of treatment for you. It would not be done by yourself alone. I have a question and I'm not sure if this is where I go. Anyway I feel like I have had a curse or a badly Iuck something put on me or my family possibly before I was born. Everyone my parents and myself mainly have had bad luck my whole life. I don't know how to explain it but I have never had anything good happen if it comes to luck . It seems like it always happens to the next person in line or the next one who applied for the job . I just feel like I've been in a rut my whole life. I am not feeling sorry for myself it is a real thing I was just wondering is there any way to get rid of this bad luck or karma or whatever it is? It's not just any dime in hoodoo that can be used a warning device for the presence of evil powders. It must be the Mercury dime because of its high silver content. The silver reacts with the sulfur commonly found in powders like goofer dust, Hot Foot Powder and others and tarnishes, thus warning the owner that they've stepped in or otherwise made contact with those evil tricks (but the silver protects them from those tricks hurting them). So in regards to your question about your modern dimes tarnishing, I don't think that discoloration you're seeing is magical. Dimes haven't been made out of silver since the 60s; today they're made out of copper sandwiched between nickel. I think the tarnish on your coins is the nickel reacting with the air or something else. A person I know has been tied and bound before because someone knows they have magic, and they will protect myself. But this situation involves the card I keep pulling which is the 8 of swords. Her husband and her separated, and the woman he is with did break up work. They have children together, but she doesn't care. Anyways. She is fighting him for support, because he left them with nothing and unemployed, and will not help. I've burned candles to get clients to her business, but the glass at the top burned black. She has done a conjure egg, and said she would do another one today. She also has a protection mojo. She hasn't had accidents, but would feel hopeless and depressed, never ever being depressed before etc... but this woman keeps fighting her back because we have been fighting for her husband, at first, and she doesn't want her with the money he owes his wife, leaving him broke. Rumors also spread the mistress is pregnant, and they have only been living apart for a month and a half. She can't get her money to flow in, even a little. I don't want to disclose all my workings, but let's just say I have weakened the competition over the past few weeks. I'm not done, but I need to clear the money blockages, and get my magic unbound for her quickly. She has received outside help for things she has needed, but can't receive certain assistance because her husband name is still on the lease, and she doesn't meet the income requirements to have him removed. OK, there are a lot of posts here, and my mind is overwhelmed already. I'm not blaming anyone, I'm just saying I'm finding everything in my life very hard. I can't believe how my life has become over the last few years. My family are like completely different people, their attitude towards me has totally changed. I have almost been dropped. That and the other things that have happened, I feel I must have been cursed. I have never had such a huge bout of bad luck in all of my life. I am new to magick, and would prefer it if someone could please help me with anything. Interestingly, my intuition reminded me of an old huge crush I had, and that on that day it reminded me it had been 10 years since I last saw him. There is definitely something spiritual there because it told me before when I was going to see him again, twice. I'm not saying necessarily soul mates, but there is something spiritual going on that I don't understand. I don't know why I might meet him again, but when I first saw him (and knew him) that was the only other time in my life when I felt so close to committing suicide. He was also the biggest crush/love I have ever had, and for about three months recently I had finally forgotten about him. But then my intuition was in my face about him on the 10th anniversary of me last seeing him. What on Earth was that about? Thanks for reading. Any thoughts welcome. That's so strange how that guy came to mind. I wonder if he had jinxed you I the past and that's why he's coming to your mind now. Could be your intuition telling you the cause. I don't know for sure but guessing here. Please go ahead and try some uncrossing spells. Thank you for your message and for your insight. I did receive a reading from a reader from that list, and I was very disappointed because I did not find out anything new, there wasn't much said, and he wouldn't tell me about the man I mentioned above. Just that it was a crush and nothing more, he did not do a reading into it though. I felt a little patronized by him, to be honest. Thank you Sister Jean. I live in England and I'm not sure how much the calls would cost from here. I will try. I tried to enter the readings for the radio show, but my post was approved too late for me. In all honesty, I'll try and sum up what I really want: My mum's partner came into our lives when I was about 14. He treated me like a daughter, and now he is saying I am not his daughter. This hurts deeply. To make it worse, he started acting creepy towards me a few years ago. He's toned it down since my mother had a few words with him, but still. It's messed up, and it's hurtful. The following is my main interest: His real daughter, in his will, will be getting his house. She will also be getting her mother's house in her mother's will. She already owns a house with her partner, and for a while she was renting out a house. She received a private education also, I did not. She does pretty well. I want my mum's partner (My dad?? They're not married) to change his mind in his will, so that he leaves his house to me. I am autistic and have not been successful in life. All that has happened during the last few years has made me suicidal. I have nothing. His "real" daughter has everything, and will end up with even more. I do not think this is fair. I hate my mum's partner for everything he has done. Any suggestions for what to do? And, if possible, I would like to have a professional do a spell for me, or whatever it takes to get him to change his mind. I really need this. I'm scared about my future. Thank you. Actually, this post does not belong on this thread. I'm so sorry I posted the above post in the wrong forum. Maybe I can compose it again in the right forum and you can delete this one? Again, I am very sorry for doing that. Thank you for your response also. Can I please have help with this situation? I hope I am posting in the correct section. I ordered some candles from another supplier online (I know we are not to ask about other products on the forum, but I'm not asking about the products themselves, just hear me out). One item that I ordered, they were out of stock of it, and didn't bother to call me to inform me, or ask me if I wanted anything else to replace it. So, I called them, and the person was very rude and didn't want to help me. I then decided that I didn't want to order from them, but they were closed so I called back the next day. They told me it was already shipped out, and of course no returns. So I get my candles today, and they were not wrapped in plastic - they look like they had been prepared to be used? I don't know. There were markings on it, but they didn't look like "markings". They looked like just scuff marks, and pretty big ones too - chips of about a dime size completely taken off the candles. Anyways, I notice that as I'm looking at the candles, my left hand was feeling "tingly," and sort of constricted, which was the hand I was holding the candles and taking them out of the bag with, because I opened them with me right. So I got out my pendulum out and asked if these candles were crossed, if they had a negative condition on them, and if any condition was intended for me. Each answer came back, "No." The only one that did come back, "Yes" was, "Was there a condition placed on these candles?" I had a funny feeling about ordering from this company after my first phone call, and I won't be ordering again. I won't say the name of the company, because I don't want to give them bad publicity, but I want everyone else to know about them. However, I don't know what the LM forum rules are on that. So, I'm wondering, if there was indeed anything placed on these candles, what I can do to reverse the condition? Whatever it is? Also, how do I best dispose of the candles? At a crossroads or in a stream of water? If there was indeed a possibility of something amiss, I will schedule a reading. But, if someone can just provide me some clarity that would be great. How a company would even sell such badly marked candles to their customers in the first place is horrendous. There were marks up and down the entirety of the candles. This is why I only order from Lucky Mojo! This does sound weird. If you feel like something was amiss and you just want to get rid of the candles, you could leave them at a crossroads then wash your home with Chinese Wash. I think that was a good move to smoke yourself in camphor and frankincense, but you could also take a spiritual bath like Uncrossing if you're worried. I ordered Uncrossing incense from LM, but it won't be coming in for another 3 weeks Maybe I can just find some hyssop. Ah Chinese wash! I had some of that from an Uncrossing kit years ago but it's not with me right now. I need to have some on hand. Thanks for that. My arm isn't feeling so constricted or whatever it was feeling anymore. There is a little bit left in the elbow, but that's it. I'll leave the candles at a crossroads tonight. I merged your post into a thread that deals with the topic your question is about. Please try to find the appropriate thread for your question as your answer may already be there and it helps us keep the forums organized for other people to be able to easily find information. Read over this thread to get a general idea of how to do this kind of work. 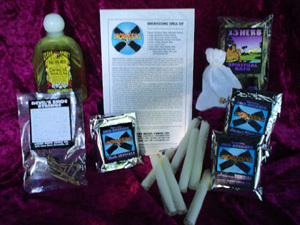 I would recommend an uncrossing spell kit myself (http://www.luckymojo.com/uncrossing.html) as a way to get started. How can you tell if someone has cast a spell of revenge against you? .Everything was going fine in my relationship and my life until my other half started cheating. Now seem like everything going wrong. My car started acting up, among other things . Can someone suggest a good cleaning and uncrossing spell or bath. Like today he called several times, we talked and laugh about stuff, then all of a sudden he call going off like wow. Any suggest would be greatly appreciated, was wondering should I get a reading. Hello all. I am new to the art and have a few questions that I would like to ask so I apologize in advance if any of this is being asked in an inappropriate forum. To put a little history to my story about blockage, about a year and a half ago I had discovered that a lady I was dating had gone to a practitioner to have some binding work done on me. The work had been done about 18 months before I had know 100% that someone had put roots on me which brings the complete time frame from then to now at about 3 years. I pretty much found out because things had gotten really bad in my house. I had known that there was some sort of spirits in the house because at night I would hear noises in the attic but I felt like maybe someone had died in the house. During the first 18 months I had found a dead rat at the bottom of my back door step. I suspected roots but didn’t take it to heart. A month or two later I came out of my back door and found saw dust all over my back porch. Again I suspected someone had laid a trick for me but didn’t take it to heart. Around that time I had started back dealing with the woman who I eventually discovered was responsible for the root work on me. I cut all other females off. I would go to work and come home to a dark house and I wouldn’t answer the phone or the door for anyone other than the lady that did the work on me. For months I complained to her and actually told her on several occasions that I didn’t feel like myself and that I felt like I was being controlled by something. Around this time I started witnessing poltergeist like activities in the house i.e. TV’s going on and off by themselves, doorbell ringing, hearing people talking when I was the only person there. Knocking on the walls, sounds of rocks on the roof, running, stumping, cabinets and doors slaming. The spirits started attacking me and it would feel like someone was scalding my brain with hot water. I would smell piss and feces and rotten meat but couldn’t find the source of the smell. Keys bent mysteriously. Bluetooth was snatched out of my ear never to be found. It felt like a cemetery as soon as I stepped foot on to my yard. I consulted the help of a religious priest. He did some work for me to reverse the spell and had me to do 3 spiritual baths. After about 2 weeks I was quickly becoming my old self again. I was told to leave the lady alone and I did for a while but I eventually started back dealing with her as we have children together. She swears that it was a love spell gone wrong. My problem is this. Ever since she put that stuff on me my luck has been bad bad bad. I can’t keep any money. I own a business and I was making a lot of money per week. Things got real bad and I was barely making $1,000. Things picked up just a little bit but I live check to check. I cannot keep money from one week to the next. I know that I am blocked and I would like to know what it is that I can do to open the road up for me. Also I bought a 13 day 13 herb for myself and the lady. What is it that she can do to kill the spell? She says the guy had buried my picture in a cemetery. I will also add that I cannot sleep at the lady’s house. Every time I doze off to sleep those spirits jerk me a awake kinda like something is shocking my spirit and each and every time that I go to her house those spirits follow me around wherever I go whether it be my house or my parents house. Welcome to the Lucky Mojo forum. You are welcome to introduce yourself under the introductions thread. I am sorry you are having to deal with all of this, it sounds very distressing. PLEASE do not announce your income on a public forum. This is a recipe for disaster as we do not know who covets the forum and wishes to take advantage of people. Thanks Sister Jean and Miss Aida for the advice. I will adhere to it. I have a few questions and concerns about the fiery wall of protection spell. Now, I do understand that karma is karma and I guess a person is responsible for their own negative energies that they send out. However, as I stated earlier the perpetrator is someone with whom I still have dealings with as we have children together. We still have a sexual relationship. I was hoping that there was something that she and I could both do to get rid of the evil spirits and negative energy that she has invited into our lives. Not necessarily that we do it together but just so the issue gets resolved. So my concern is that if I do the fiery protection spell exactly as it is written then it seems that I am reversing the energy back to my significant other and thus I suppose as a whole we would still both be plagued by the negative circumstances that we encounter. Even if I do the fiery protection spell exactly as it is written, what can my significant other do to rid herself of the negative things that she has caused? She says that she no longer has contact with her root worker and that she has no idea where he buried the spell items other than he said that he buried them in a cemetery. Ok Thanks Miss Aida. I will look those over. I have a question for anyone who might know the answer. I have read that compelling and controlling coercive spells utilizes evil to manifest. Is it your opinion that compelling and controlling spells are in fact evil workings? I have reason to believe I have been cursed. My longtime boyfriend, after I left him one time, was influenced by his mother to marry a woman to get citizenship for monetary gain. I was absent only for about 8 months. She moved in as his roomate, but nothing romantic ever blossomed between them. She is much older, not very pleasant, demanding and not very attractive. I am aware of her being a woman and all but I know him well and would have nothing to be jealous about. We reconciled, he moved her out, and we have been together for another year. I got pregnant and he is very thrilled to be a father. However, this woman will do anything to secure her interests- on two occasions, still possessing the key to the apartment (for their interview) she has opened the door to our place and gone into my room with no regard or respect to our privacy. There are ways to get still have the baby with little trouble to her case, but he will not allow the abortion, and I also agree with keeping it. He still has plans to finish their contract. However, since I'm still in the first trimester, I have not been open with everyone. I believe her mother told this woman, and she found out, was extremely stressed and concerned about it- communicating to my boyfriend that she couldn't sleep because she imagined him asking for a divorce. She is Russian, and I know for a fact practices this stuff and has mentioned seeing a spiritual doctor for advice. That same day after she came to the apartment, later that evening, I found an empty egg in the middle of the rug on our front porch. I didn't touch it or exam it too carefully to decode any writing. And this has never happened- no one through out any trash that morning. What do you think it means? I can't say exactly what the egg meant without seeing it, but I think your instincts were correct in treating it with caution. I throw the egg into a body of water that's running away from your house, and when you throw it over your left shoulder, pray that this woman will go away and leave you alone. Then when you get home, spiritually clean your home with Chinese Wash (especially the spot where the egg was found) and then put protection up around the house. Also, get the locks changed!